YES YES YES! I’ve been saying it for years, whenever I feel the stress is getting to me, I go fishin’. Scientists have done numerous studies on the relaxing effects of wettin’ a line. Researchers have even come up with a term “piscatorial” meaning having to do with fishing. Veterans returning home from war, those suffering from anxiety, and taking medications can get the same benefits from “goin’ after the big one” as they can from the medicine cabinet. 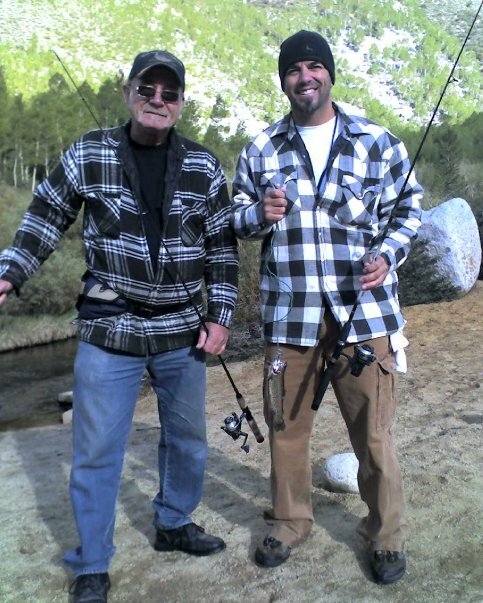 I’m lucky as my father has been taking me fishing since I can remember and to this day, going up to the mighty High Sierras right here in my home state of California is very often just what the doctor ordered. Fresh air, clean mountain streams, the silence of it all is beyond therapeutic and best of all I’m with my pop. Fishon!- Scott/TDF INC.